Anchor Renovations & Remodeling is a full-service construction firm offering an extensive range of interior and exterior services. Our team of professionals specializes in projects that enhance the beauty of your home while increasing the value of your property. 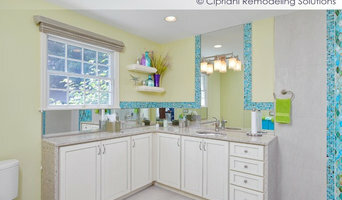 Tammy Collins is an award winning designer with over 15 years experience. She has done residential and commercial work throughout New Jersey and Pennsylvania. Her portfolio expands to include many specialty works including custom built furniture, custom art, functional art installations, murals, decorative and faux painting, and children’s theme rooms. Tammy is known for her out of the box thinking that produces some amazing design solutions. She has a gift for uncovering the challenges of a project and creating solutions that work. She has the ability to develop these solutions within the clients’ budget. Tammy uses her experience and talent to create amazing designs customized for her clients specific needs while carefully adhering to their budgetary concerns. 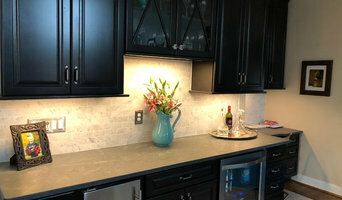 Since 1997, Josh Nelson of Distinctive Carpentry by Josh Nelson, LLC has been creating beautiful additions, kitchen remodeling, bathroom upgrades, finished basements and custom carpentry throughout Chester County. We are a family-owned and operated service-driven business with a stellar reputation for honesty and integrity. Whatever your style, Distinctive Carpentry by Josh Nelson, LLC can create the desired look to transform your house into a home. Our designs will either blend seamlessly into your existing home or change your living space into whatever new look you desire. D.K. Builder, LLC has become synonymous with high quality construction, building additions and remodeling, custom homes and commercial projects. D.K. Builder is comprised of an experienced team of professionals to ensure complete customer satisfaction throughout the construction process. D.K. Builder Management staff has a combined 150 years experience in residential and commercial construction. This means unmatched attention to detail, met schedules, and excellent craftsmanship. D.K. Builder is privately owned by Phares Zeiset and Daniel and Linda King. We are a design-build firm specializing in creative energy efficient projects. We are a full service design and build construction company. We provide traditional and contemporary design options. We can offer original ideas, or collaborate with your ideas to create the perfect space. With over 14 years of experience, we have built trust with clients over the years with our expertise and innovative design solutions. 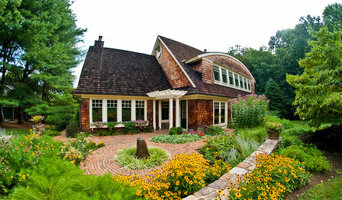 Thomas Schilling Construction is a design build firm with a focus on customer satisfaction and attention to detail. Tom brings a wealth of knowledge and experience to every project, and looks forward to being their for you from start to finish no mater the size! Tom's background has always been in construction, and takes pride in his craftsmanship and ability to make customer's dreams a reality! From the initial consult of your project to the final walk through where your ideas have now come to life, Thomas Schilling Construction will deliver on all aspects! We specialize in all residential and commercial design, supply and construction needs. Whether you want a custom kitchen or bath or just want to update the same layout , we can assist you with the project to achieve your goals. We offer design sessions in the convenience of your home; assisting you in the selection of color, textures and products integral to your kitchen and bath renovations. We also offer architectural services, inspirations and recommendations. Our services can be as little or as much as you desire. We can jump start the project in the right direction or be there through every step of the way. 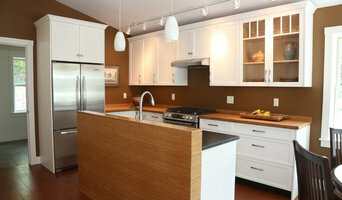 Fiona Moshal Interiors is the Main Line’s premier Interior Design and Home Staging service provider. We are a detail-oriented, turn-key operation with proven results. Interior Design Our Design philosophy is based on the belief that homes should be a reflection of each of our client’s tastes rather than solely our own design aesthetic. Guided by color, pattern and texture and inspired by iconic spaces from around the world, we bring to the table our combined experiences to create fresh, unique and “of the moment” takes on any style. Home Staging When staging, our goal is twofold…to make the transition from one home to another as painless as possible and to help our clients realize the highest price potential for their property once market ready. Our philosophy is to simplify, neutralize and brighten and, in so doing, we create a clean, fresh, light-filled tableau in which buyers can envision themselves living. This strategy has proven itself time and time again.” Organize Whether designing, staging or simply refreshing, home organization is an integral part of the process. In cutting through the clutter and implementing easy-to-maintain organizational solutions, we allow our clients to find themselves in places of balance and harmony—free to enjoy the unfettered beauty of their new surroundings. 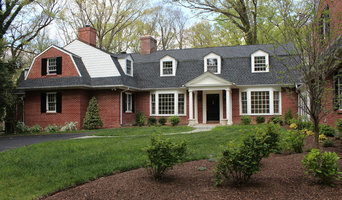 Caliber Home Construction is a locally owned and operated residential renovation company, established in 2009. The business was created with the vision of providing superior customer service, accountability and integrity that is often overlooked in the renovation community. The goal at Caliber Home Construction is to bring to our customers a full service and worry free experience to their home remodeling projects. The owner's bring with them over 17 years of experience in the home building and the professional service industry, ranging from construction management of single family, town home and condo communities, to the completion of residential additions and remodeling. Founded in 1984 Baron Building & Restoration brings extensive experience in construction management, building and design. As a custom home luxury builder leading the Philadelphia region in fine home construction, our portfolio spans 3 decades and is accented by signature custom kitchens, luxurious baths, custom entertainment rooms, fabulous stonework, turn-key colonial restorations and inviting outdoor spaces. Our use of superior building materials and the workmanship of expert craftsmen allow us to achieve spectacular results for each one of our clients. Having our very own line of custom cabinetry and a granite business makes us extremely competitive in both price and quality of craftsmanship. At Baron Building & Restoration, we build with attention to the finest detail. Schumaker Construction is a complete, full service, remodeling contractor specializing in additions.